This was my design wall Saturday. 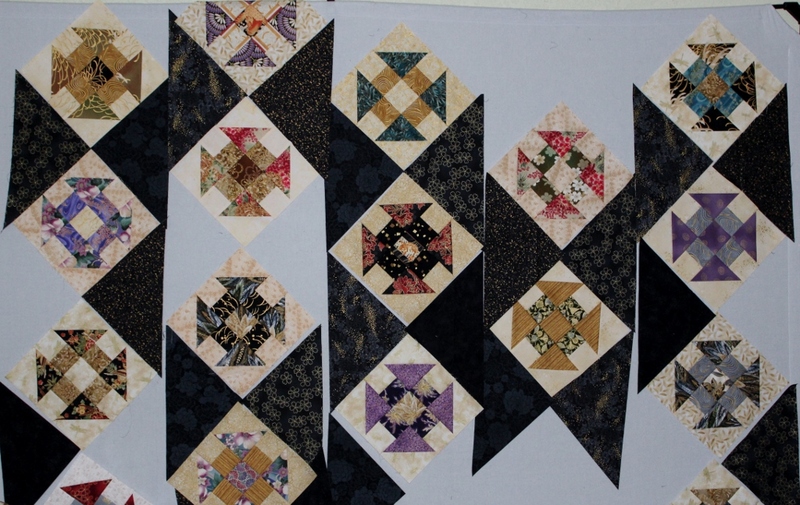 But instead of writing a blog post, I cut and sewed more oriental churn dash blocks. So this is what my design wall looks like this morning. The pattern is River Valley Romance from Quilters Newsletter April 2005. The pattern calls for 27 blocks with 4 of them chopped off to make the top & bottom edges even. I am making 23 full blocks and 4 half blocks instead. The outer borders on this pattern are 10 1/2″ wide making the finished quilt 81 1/2″ square. Since I don’t want or need a quilt that big, I won’t be making my borders that wide. When I get that far I will make the final decision on width. 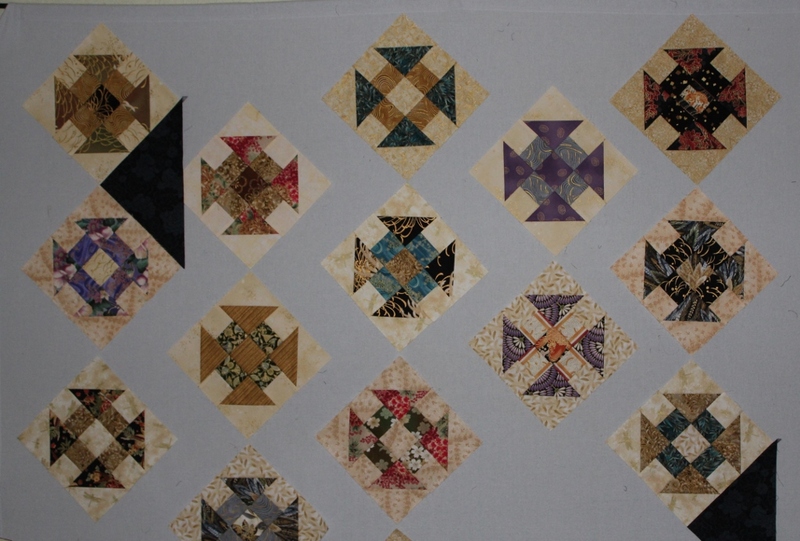 It has been so much fun selecting the fabric for each block. 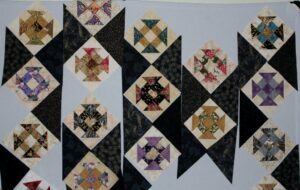 Even though there are blocks that I don’t particularly care for, they all play together in this type of scrappy quilt. I though that I would be finished playing with my oriental fabric when this quilt top was completed, but I just found a plastic bag with some blocks that may just leap upon my design wall. We will see. You have just inspired me! I have a case of 1.5″ strips–mostly Asian–that I need a project for. Hmm ….